This is suitable for riders of all experience stages. 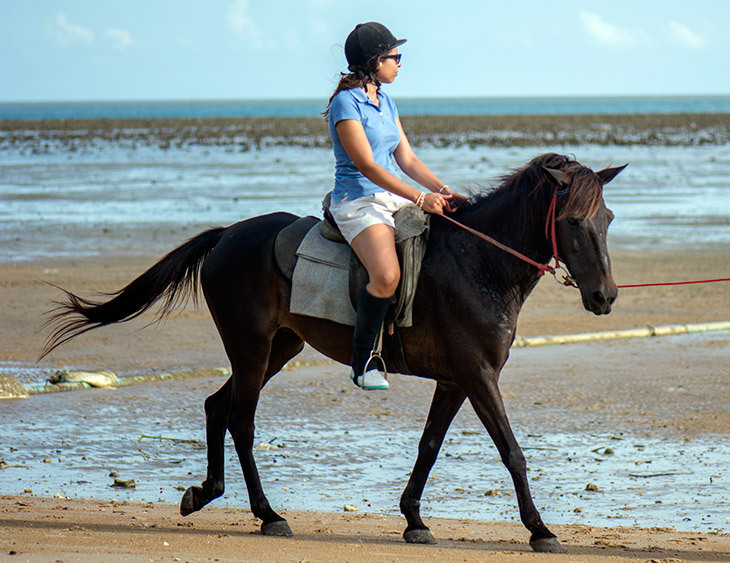 With guests with little experience the horse is led by an experienced leader. 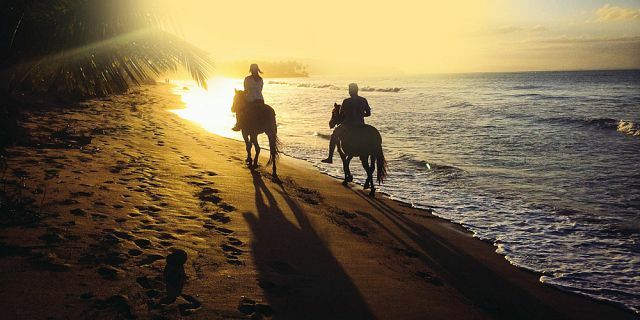 Experience the dream beach "AO NAMMAO" once on the back of a horse. Enjoy the sun and the beautiful landscape, while you ride comfortably along the long beach. Occasionally we spoil you gladly with refreshing beverages and exotic fruits. 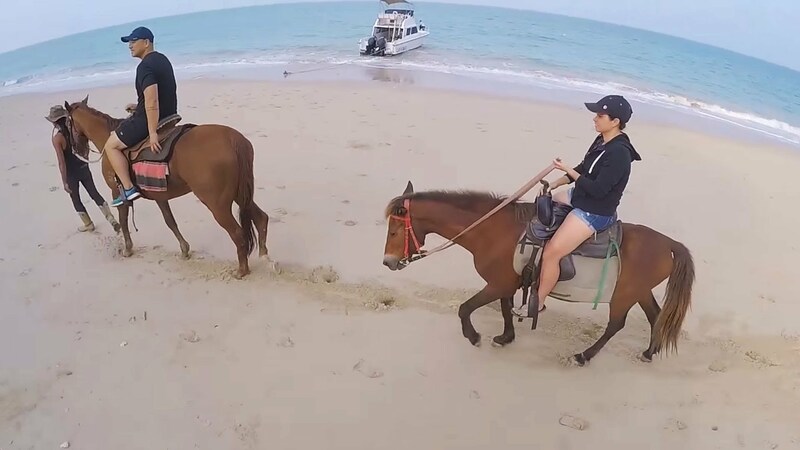 If the sea has flood at the time of the trip, we can offer as high point of this trip the possibility for you to swimming with the horse. The two-hour tour is suitable for riders of all experience stages. Guests with little experience the horse is led by an experienced leader. The two-hour tour leads first to the beautiful beach " AO NAMMAO". 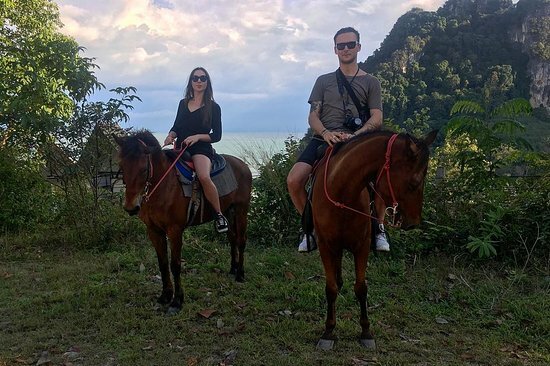 Experience the beauty of the Thai sea from completely different perspective and enjoy the beautiful view into the landscape. At the end of the beach ride one of the high points of this trip follows: The world-well-known fossil Beach, where there are to admire up to 75 million year old petrified sea-animals. We ride by impressive plantations and past at typical Thai villages. Occasionally we spoil you again and again with refreshing beverages and exotic fruits. 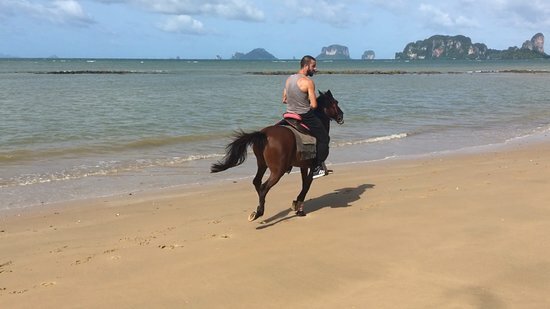 Option1: House riding on the beach , beautiful Thai countryside, fish farm or swimming with the horse by hide tide. 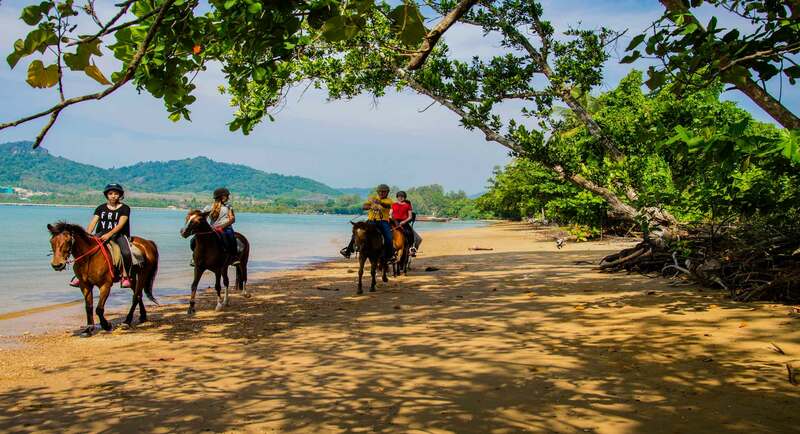 One day tour Horse riding with kayaking at Ao Thalane : Price 2,500 /ad , 2,100/ Ch. -Sightseeing around by canoe, admire the natural beauty of limestone, cliffs, canyon, lagoon and mangrove forest. - Visit Emerald pool, swimming in the nature bath. - enjoy shopping at Krabi walking street.